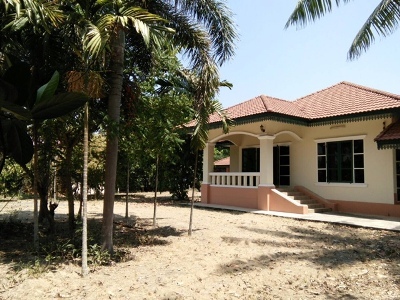 HR1447- House for reat in summit green valley, Chiangmai, Thailand. Thai style golden teak wood house closed to Lake and Mountain view for sale inside green valley golf course, Chiangmai, Thailand. Privacy and nice Gardren with private swimming pool. 2 storage with 4 bedrooms( 1 bedroom has set up for entertain room ), 3 bathrooms, 1 maid room unit outside the house, 2 living room, 1 dinning, 2 kitchen (western&Thai), nice Gardren in front & behind the house. 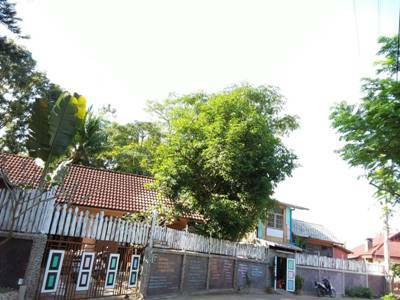 Land is 444 Sq.wa and house is aroud 400 Sq.m/ village free 1,500 THB/ month. This price is include some furniture. 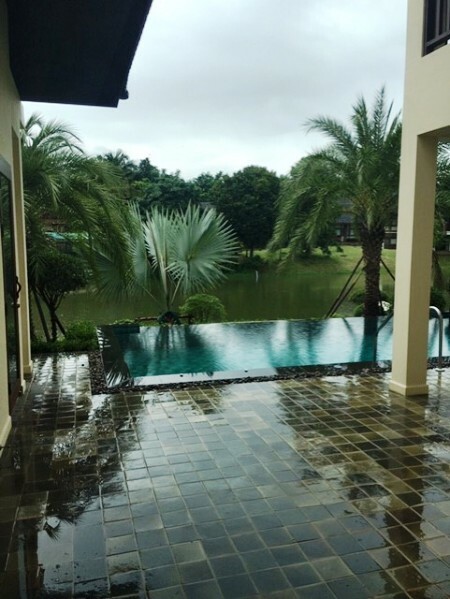 HR1785- House with private swimming pool for rent in Chiangmai Thailand. This is beautiful house with a private swimming pool. Nice view . with 4 bedroom, 4 bathroom, large living room. Good security. 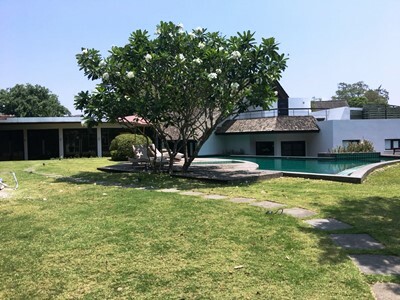 HR3039- House for rent with Private Swimming Pool in Chiangmai Thailand. 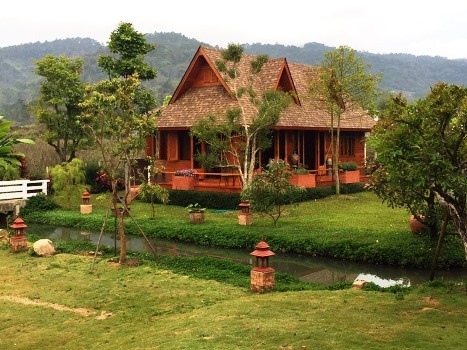 This is a villa located in Mae Rim and featuring a garden with a sun terrace. The villa is fitted with air conditioning and free WiFi. There is a dining area and a kitchen complete with a microwave and a refrigerator. A flat-screen TV and DVD player, as well as an iPod docking station and a CD player are available. There is a private bathroom with a bathtub. Free use of bicycles is available at the property and the area is popular for biking. 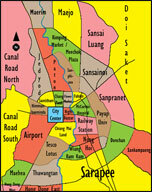 Chiang Mai is 14.5 km from Villas.. - Chiang Mai, and Samoeng is 22.5 km from the property. The nearest airport is Chiang Mai Airport, 17.7 km. from .. Villas - Chiang Mai. 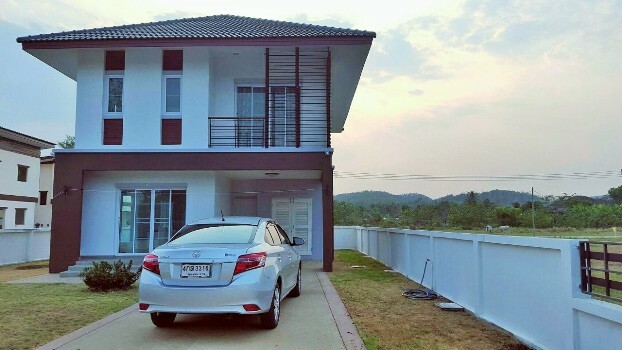 General Features Price for Rent: 120,000 Baht/Month 4 Bedrooms, 4 Bathrooms ,Living room, Kitchen, Air condition, Hot-Water, TV Refrigerator or fridge freezer. Secure Parking ,Solar-hart system, Hot water,Fully furnished. 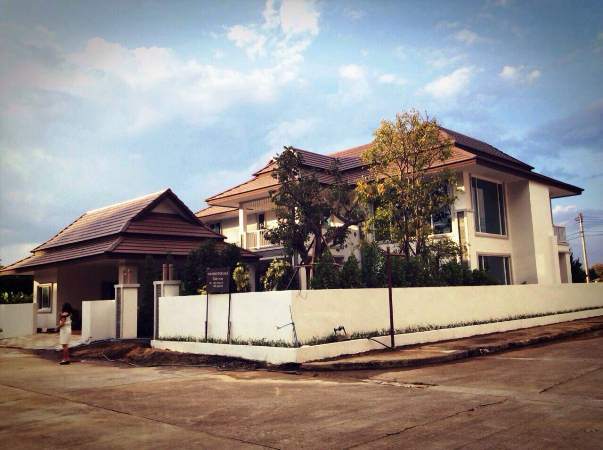 HR1597- House for rent in Chiangmai Thailand. 4 bedrooms, 5 bathrooms, 1 office, 2 livingroom, Nice kitchen, fully furnished, Nice garden , nice view with montain view. This villa is really unique. 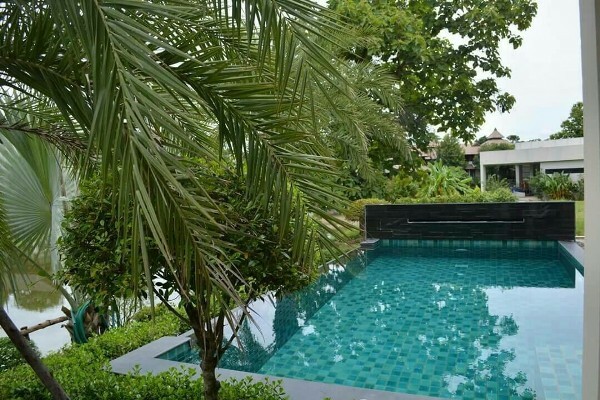 Built in a traditional Lanna style within the lush gardens of the Pavana Spa Resort, it has 3 floors of beautifully furnished contemporary living space. 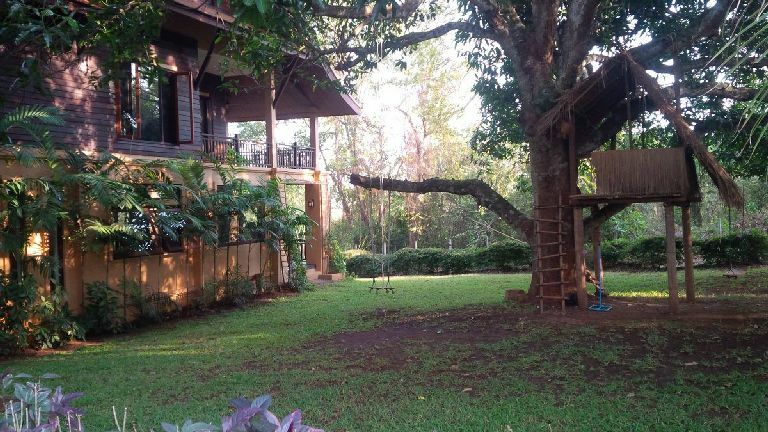 The ground floor is semi open plan with a large living room and dining room surrounded by windows overlooking gardens and an enormous Mango Tree with a tree house built by the owners. The kitchen has been completely modernised and is sleek, contemporary and fully kitted with juicer, blender, microwave, oven, washing machine, dryer and dishwasher along with everything you would need to cook and eat at home along with a breakfast bar overlooking breathtaking mountain views. Also on the ground floor is a guest bedroom with ensuite bathroom, used by the owners as a TV room. The shower has been custom built to accommodate elderly people. there is a piano for budding musicians, stereo system and a guest room with ensuite bathroom. For outside dining, there is a balcony with outdoor furniture to accommodate 6 people, however there are so many large windows on the ground floor (all with mosquito nets), that even when inside, you feel like you are outside, living within the trees. On the first floor are the two main bedrooms, both with walk in closets and ensuite modern bathrooms with walk in rain showers and twin basins. The bedrooms are beautifully furnished with plenty of space and again, incredible views over the gardens and the wonderful landscape beyond. The master bedroom has a large double teak wood bed and a large wrap around shaded balcony with ceiling fans and is used by the owners to do yoga early mornings. The second bedroom has two twin beds and a large play area with incredible views over the countryside. Outside the bedrooms is an office space with large bookshelf and elongated office desk for two, overlooking the magical mango tree and tree house, which is a real feature of this villa s garden space. Up one more flight of stairs is a large playroom-guest room with a large double teak wood bed, a sofa and lots of floor space for play, for yoga or simply to watch the light play on the leaves of the trees through the windows on each side of this room with sloping ceilings. All the rooms have AC units and ceiling fans. All windows have mosquito nets and the entire house has high ceilings, and an incredible sense of light and space, calm and peace. The Pavana Resort (formerly called the Spa Resort) is just 5 minutes drive or 15 minute bike ride from PTIS-PREM school (and is served by the school bus). On site there is a tennis court, swimming pools, daily yoga and meditation classes and a wonderful restaurant serving a range of healthy dishes from a variety of cuisines. This villa is perfect for a discerning family, looking for a beautiful home away from home. 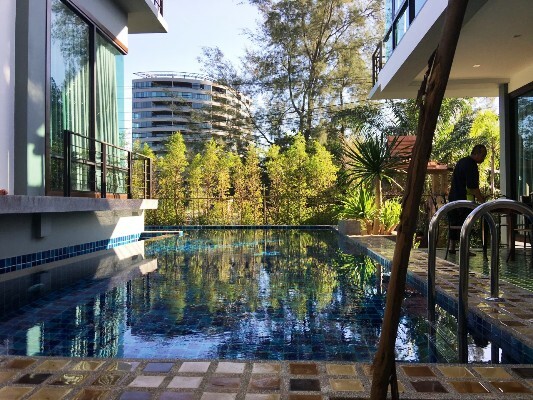 The house has everything you would need and the Pavana Resort and its associated residences has a wonderful community of health conscious people from all nationalities and life stages. 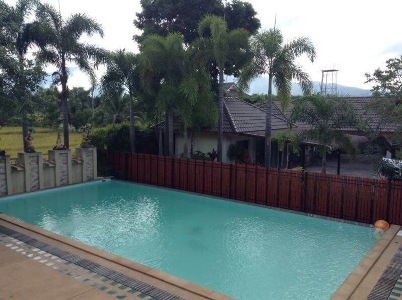 HR1761- House for rent with Private Swimming Pool in chiangmai Thailand. This is beautiful house with a private swimming pool. Nice view of the river and the mountain. It has 4 bedroom, 4 bathroom, large living room. Good security. 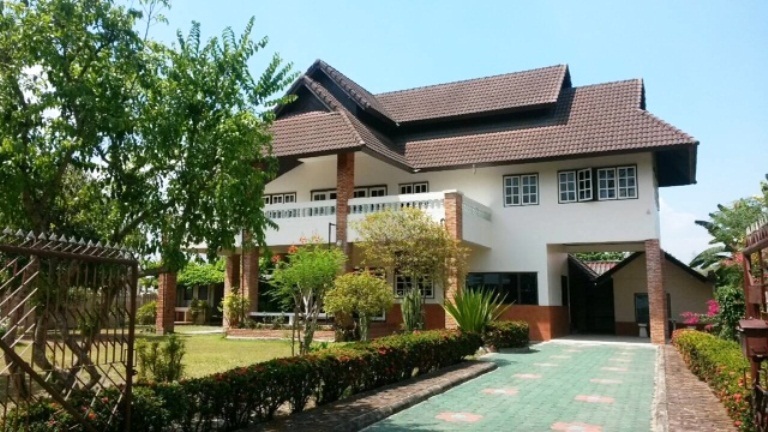 HR3080- House Lanna style for rent in Chiangmai Thailand. 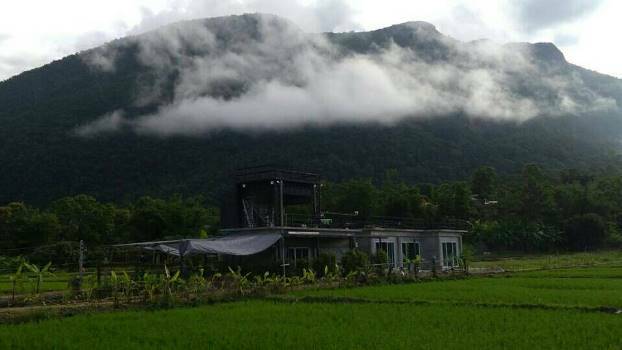 The beautiful Thai lanna style house , high quality with 2-3 bedrooms, fully furnished, on the mountain which has a beautiful view of the mountain, beautiful yard and beautiful nature around the house. It takes 45 minutes to the city center. 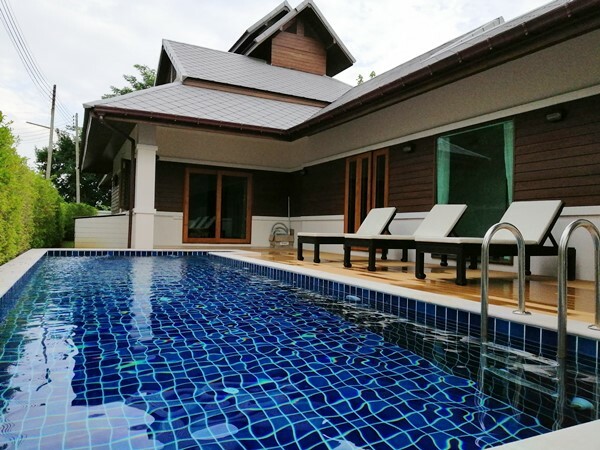 HR1825- House with private swimming pool for rent in Chiangmai Thailand. The Modern style home near by golf Green Valley Chiang Mai. Rent ​​a house with a modern swimming pool. And a spacious terrace for events, parties, and western kitchen with 5 X 10 m Island. The central English-style home located opposite the golf course. HR1907- House with private swimming pool for rent in Chiangmai Thailand. This is a beautiful house with a private swimming pool. Nice view . with 4 bedrooms, 4 bathrooms, large living room. Good security. HR1908- House with private swimming pool for rent in Chiangmai Thailand. Beautiful house with private swimming pool for Rent in countryside Maerim area. Thai Lanna style house 2 story with 3 bedrooms 4 bathrooms 2 living rooms, 1 office, 1 open kitchen, 1 maid room, 7 air conditioning. 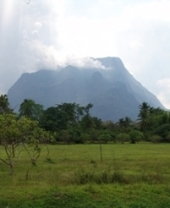 Land size 191 Sqw or 764 Sqm. Nice decorate with wooden Funiture. Fully furnished. Nice area near Maerim Market 1 km and Prem International about 8 km and lot of convince surrounding area., Quiet and safety area. HR1859- House for rent in Chiangmai Thailand. 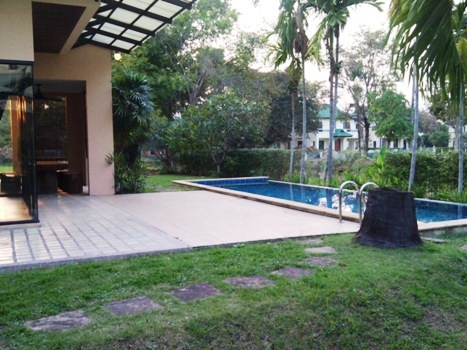 House for rent in Mae Rim district , Chiangmai. fully furnished. General Features Using area: 65 Sq.m. Price for Rent: 12,000 baht/month, 2 Bedrooms, 2 Bathrooms 1 Living rooms 1 Kitchen, Air condition, Hot-Water, Secure Parking. HR1913- House for rent in Chiangmai Thailand. This is a beautiful house for rent in mae-rim area., Nice view with 3 bedrooms, 3 bathrooms, living room. very big area Good location. HR4050- Bungalow or private house resort stylet for rent Surrounded by nature, mountain view, in Chiang Dao district,Chiangmai Thailand. Bungalow or private house resort stylet Surrounded by nature, mountain view, in Chiang Dao district,Chiangmai Thailand. Good location, Bungalow or private house resort stylet. with 4 Beds 5 Baths 1 Living room & Dinning Area, 2 Kitchen, Air- condition, Hot-Water, TV Refrigerator or fridge freezer.,10 Secure Parking , Fully furnished. Away from the city of Chiang Mai 80 kilometers 80 gm.